Cast Photo From “The Predator” Released By Shane Black. Update: Yvonne Strahovski Joins Cast! Updated 23rd of Febuary: The Hollywood Reporter says that the beautiful Yvonne Strahovski, best known for her roles in the TV series Chuck and Dexter, is in final negotiations to join the cast as Trembley’s mother. Trembley is somehow drawn into the conflict with the Predator by his father, her ex-husband, who is played by Boyd Holbrook (center of cast photo). 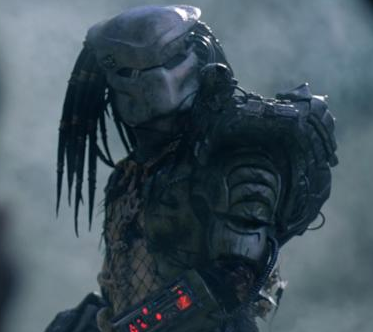 Writer/Director Shane Black announced that production has started on his new Predator film. He also Tweeted out a partial cast photo. The most well known to me of the pictured group would be Olivia Munn (most recently of X-Men: Apocalypse but my crush on her goes back to Attack Of The Show) and Keegan-Michael Key from Key & Peele. I can already hear Key screaming “Get to da choppa!” in my head. While the official story is not yet confirmed, we do know “The Predator” will be rated R and has a release date of February 9, 2018. Sidenote: Also credited as writer on “The Predator” is Fed Dekker. Dekker and Black previously wrote together on one of my favorite 80’s movies “Monster Squad”.